Pennies used to be made out of 95% copper and 5% zinc. Until 1982 that is. After that, they were made with 97.5% zinc and a copper coating. Why the change? cost cutting. Inflation made copper too expensive and zinc is much cheaper. Today, a pre-1982 penny has over 2 cents worth of copper in it. It is currently illegal to melt them down so there isn't much you can do with it. Some people do collect them and you can find them for sale on E-Bay as well as other places on the web. There have been times in the past where they have, for short periods, changed the composition, like in WWII when they made them out of steel. Zinc pennies only have about two thirds of a cent worth of metal in them. There has been off and on talk about either making the penny out of a different, cheaper metal (like steel), or eliminating it altogether. How likely is it? I don't know, but I wouldn't be surprised to see them change the composition. I expect them to make pennies for a long time to come though. Probably people will stop using them by choice long before the mint stops making them, similar to what happened to the half-dollar. I have been to a number of stores that didn't give pennies as change, they just round up the amount the give back to the nearest nickel. The U.S. nickel has never been pure nickel, it has always been 75% copper and 25% nickel, an alloy called cupro-nickel. For a few years in WWII there (1942-1945) they made some nickels with 35% silver. They currently have right around five cents worth of metal in them. 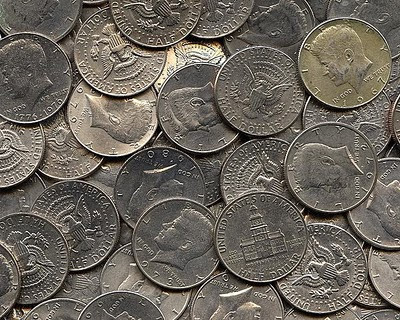 A nickel weighs 5 grams and been has ever since it was first made in 1866. The introduction of the 5 gram nickel was shortly before the Metric Act of 1866 made the metric system legal in the United States. Canadian nickels used to be pure nickel, then they changed them to cupro-nickel, and now, they are plated steel. 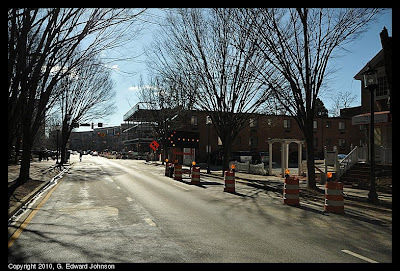 There has been a construction project going on Woodmont Ave between Hampden Lane and Elm Street in Bethesda, MD for most of last year. 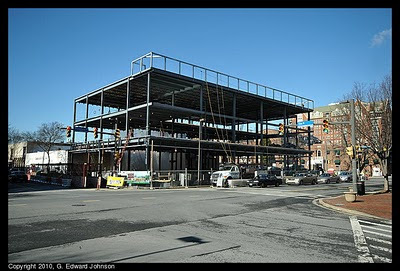 They tore down the old Ritz Camera building (Ritz Camera moved half a block down Woodmont Ave), dug a big hole, and now have put in the steel structure of the new building. I heard it would be four stories but it is three right now and doesn't look like they are adding another, I guess we will know soon enough. Also of note, they have a long-term lane closure on Woodmont Avenue so they have more space to work on the site. 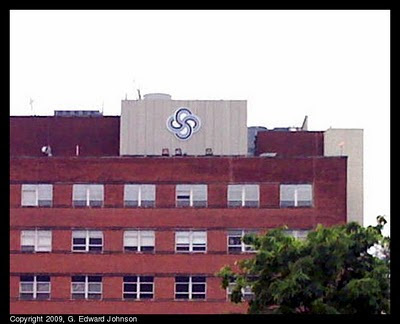 If you have gone down Old Georgetown Road recently, you may have looked up as you went by Suburban Hospital. And if you did look up, you may have noticed something was different. And, about the only thing that has changed recently is the logo, so that is probably what you noticed. If, however, you travels in Bethesda, MD don't take you down Old Georgetown Rd, then you probably don't know the logo has changed, or what the new logo looks like. In either case, the old logo is probably growing dim in your mind. 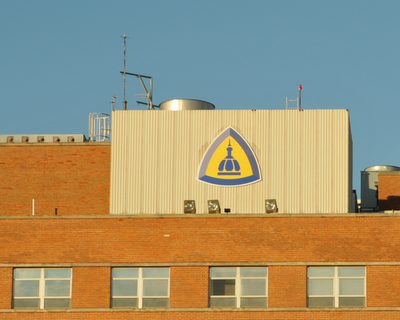 This logo is the same as the logo of Johns Hopkins medicine, which isn't a coincidence, Suburban Hospital is run by Hopkins medicine. We couldn't find anything matching your search. Would you like to try a search about abandoned, baby, decay, asylum or urban instead? Last month I picked up a few at the bank and decided to spend them around town. So far, I have spent them at a number of places in Montgomery County. One person commented she hadn't seen them in a long time, another person swapped them out for money in his wallet, the most amusing one was the person at Giant who looked at them hard for about 20 seconds then put them in the cash drawer, then, took them out again and looked some more. Everyone else has just taken them without comment. You can join in too. Next time you go to your bank, ask if they have any. I'd love to see the half-dollar be a little less obsolete, at least in Bethesda. Post your experiences in the comments. It doesn't have to be just a Bethesda, MD thing though, other Bethesdas can join. So can Rockville and Silver Spring if they want. In fact, lets open it up to the whole country. Hey everyone in the U.S., go get some 50 cent pieces and spend them! Metro is committed to running all available escalator units for customer convenience. However, mechanical parts may not always be off the shelf parts that are readily available, and some parts have to be custom-made or rebuilt, a process that typically adds time to the repair schedule. Some of the work required to repair the units is done off-site, such as refurbishing steps and rebuilding gearboxes and motors. Now, for what you are really interested in, the long ones. According to Metro, the escalator between bus terminal and mezzanine is getting a major repair and won't be back in service until the end of the month. Remember, exercise is good. Just a bit of trivia, the longest escalator on the Red Line is 508 feet long at Wheaton metro station. It isn't only the longest on the Red Line, it is the longest on the whole metro system. And it isn't just the longest in the whole metro system, it is the longest in the whole Western Hemisphere! Bethesda Metro Stations escalators are in second place at only 475 feet long. This is some of the lightest, fluffiest snow I have seen in a long time. A light breeze is all it takes to blow enough snow off the buildings to make it seem like it is snowing again, and, it is still individual flakes, not clumps. 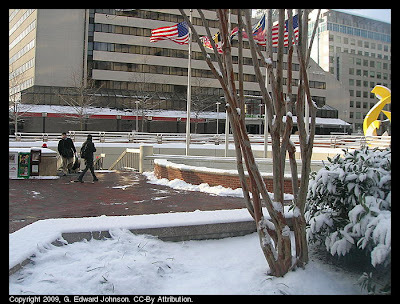 It looks like we got about an inch in downtown Bethesda, MD. The Bethesda suburbs got closer to two inches. Enjoy it for a minute, before it all blows away. 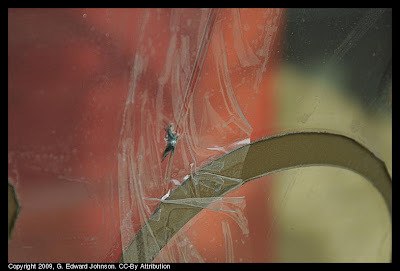 A mini enhancement includes the cleaning of masonry surfaces, painting interior surfaces, repairing interior masonry surfaces, painting exterior surfaces, fabricating, installing or repairing signs, refinishing bus and station platform shelter benches and spot finishing bronze surfaces such as railings. All work will be done at night when the station is closed and it will take a couple of months to finish. 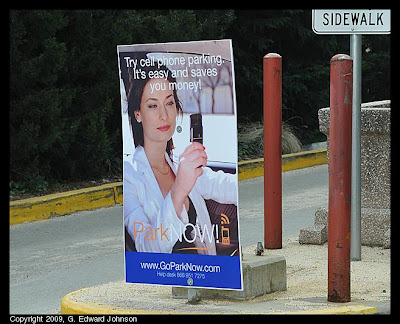 Instead of using change at the parking meters on the street and in garages in Bethesda, MD you can now register at ParkNow and then call a phone number, enter you space (or location) number and the amount of time you want. This convenience comes at a price though, in addition to the standard meter payment they charge 25 cents per transaction. 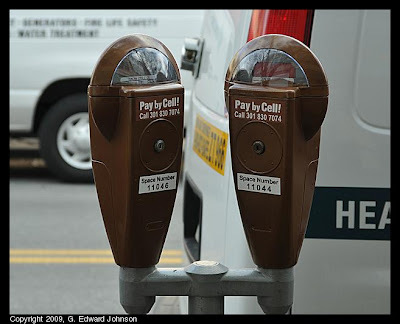 Call the pay by cell phone number with your cell phone which is listed on the meter sticker. You will be prompted to enter the meter number or space number. Select the amount of time you wish to park. You will receive voice and text messages confirming the start of your parking session. Note: Time will not appear on your meter. Depending on what meter you are at, there will either be a "space number" (like the picture above) or a "Location #"
This sign at the entrance to Elm St garage says that it will save you money, but since they charge per transaction and you don't get a discount on the meter, I'm not sure how you save. If they would add time to the meter a nickel at a time until you called and canceled or if you could call before the meter was active in the morning then not start charging until it became active then I could see it saving money. I don't see how it is faster than putting change in either, although the convenience of not having to keep change in your car is a plus. As one person mentioned in the comments, this is currently limited to Bethesda Ave, Woodmont Ave near Bethesda Row, and Elm St. plus Garage 57 and the large surface lot across from the book store (Lot 31). According to DOT, this is just a test and it only runs through April 4th, after which the meters will no longer accept cell phone payments. Depending on how the test goes and what is approved in the budget, they may decide to get bids to do this over a wider area. 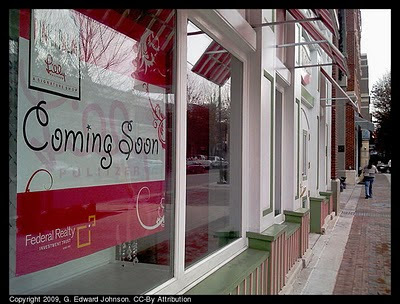 Where Tickled Pink used to be (on the corner of Bethesda Ave and Bethesda Ln in Bethesda, MD) there soon will be a Lilly Pulitzer "Pink Palm" store. Now we can all get Florida style flower print dresses whenever we want. 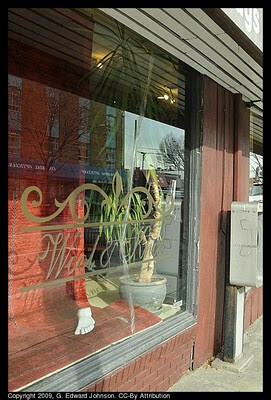 Tickled Pink didn't last long but they sure found a new tenant fast.